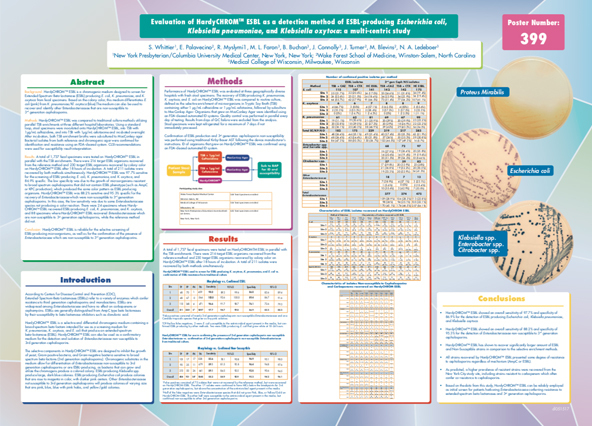 ESBL or Extended Spectrum Beta Lactamases refer to a group of enzymes produced by some species of bacteria that can mediate the organism’s resistance to one or more penicillins and cephalosporin antibiotics. 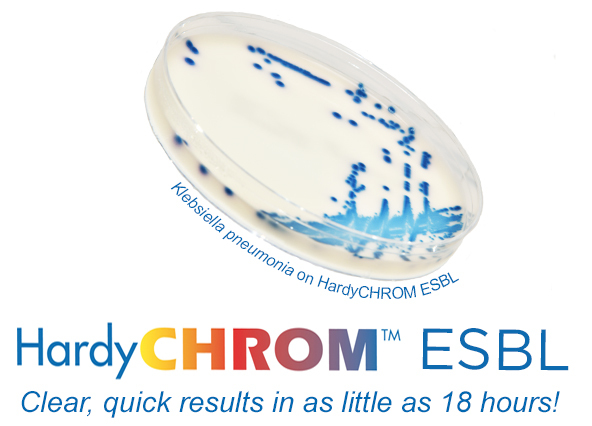 Hardy Diagnostics is proud to offer this breakthrough culture media that will help screen ESBL quickly and more efficiently from stool specimen. I appreciate that you carry products that can be hard to find but are very much needed in the lab.